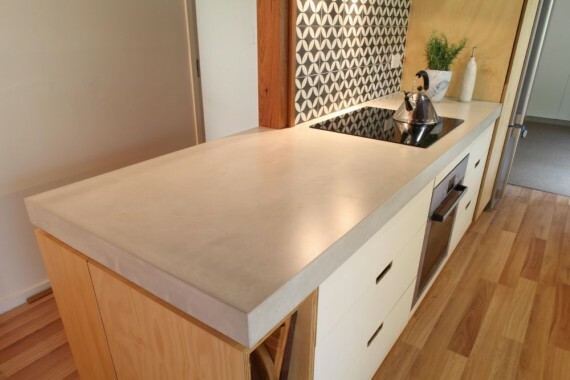 Concrete bench tops offer great longevity and the ability to customise a unique product for each client. The look can vary, which is why people look to concrete. It can simply be grey concrete and it can be white, black and everything in-between. Gino will produce samples based on your brief and work with you to create the look you are after. Many people also like the look of a bench top thicker than 30mm or 40mm. With the technique we use “Glass Fibre Reinforced Concrete” (GFRC), we can easily produce bench tops to any size you like; many people like a thickness of 75mm. 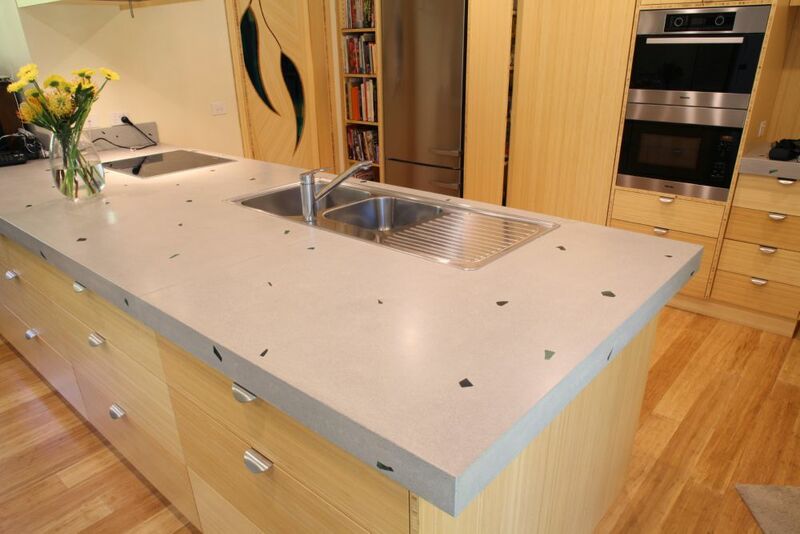 The GFRC process ensures the bench tops are very strong and we cast and polish at our workshop, then install on-site. The finished bench top has a satin matte finish. By designing and manufacturing both the cabinetry and the concrete bench top; we can integrate timber or bamboo with the concrete to create some truly unique pieces. As concrete is a very versatile product, it can be used for more than just a bench top. 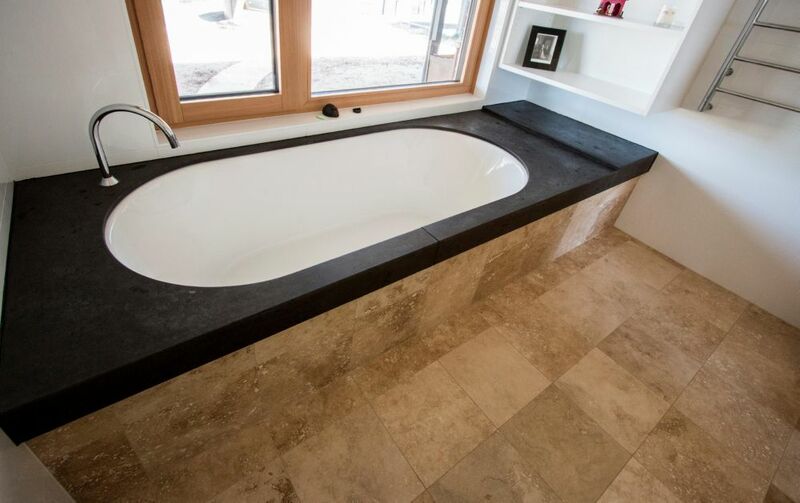 One of our clients decided to add a matching bath hob along with their vanity bench tops. 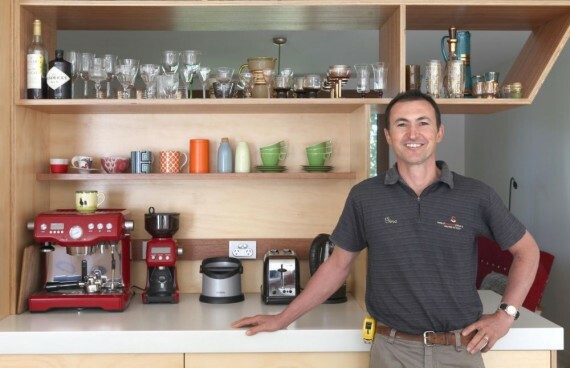 Select Custom Joinery specialises in concrete benchtops Canberra wide and beyond.